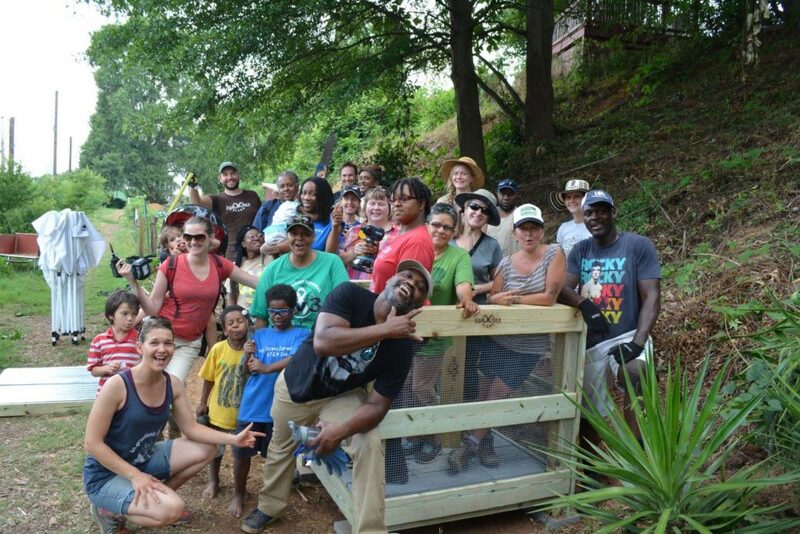 ILSR is proud to introduce the Atlanta Community Compost Advocates! 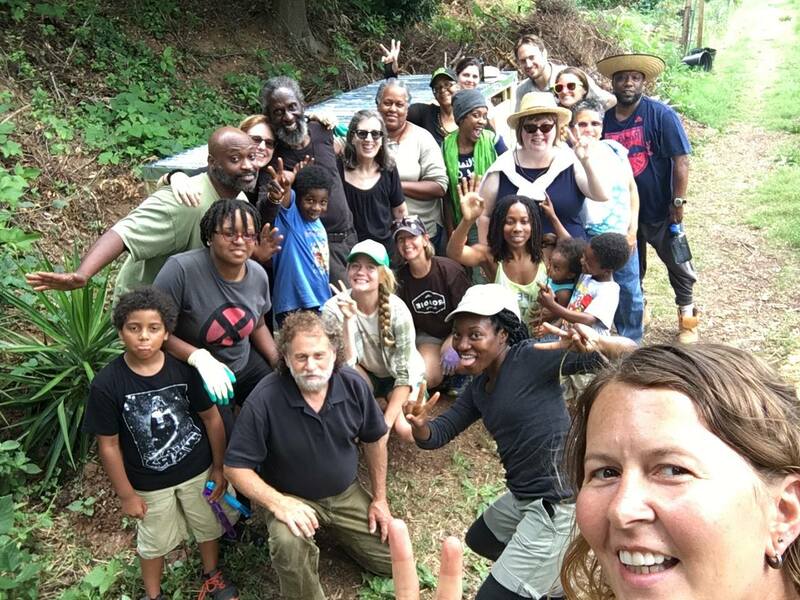 Corinne Coe of Terra Nova Compost Cooperative partnered with ILSR and ECO City Farms to adapt their Neighborhood Soil Rebuilders (NSR) Composter Training Program for the City of Atlanta. ILSR and Terra Nova Compost collaborated closely to fundraise for, design and implement the inaugural class of the Community Compost Advocate Training Program (CCATP), which was offered with with generous financial support of the Food Well Alliance. On the weekends of June 11th-12th, 18th-19th, and 25th-26th, a culturally diverse group of 16 participants came together to learn about the art and science of composting and community. ILSR originally met Corinne at the 2nd Cultivating Community Composting Forum, which was convened in Baltimore in 2014. 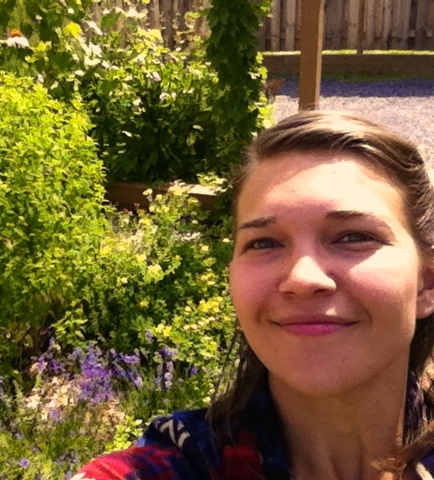 In June 2015, she also completed the US Composting Council’s Compost Facility Operator training at the same time as ILSR staffer, Linda Bilsens. As a trained and active member of the community composting movement, Corinne was an ideal replication partner for the NSR Program. 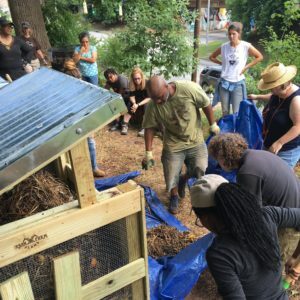 While the CCATP utilized much of the NSR training material and many of its instructors, it was Corinne’s personal passion for composting education and her extraordinarily gracious community that sowed the seeds for a truly grassroots composting revolution—Atlanta charm meets community composting! Corinne recruited 16 model course participants: 6 associated with community gardens, 3 with schools, 2 farmers, 1 university researcher, 1 musician, 1 caterer, 1 stay at home mother, and 1 graduate student. The graduate student, Matthew Toedtli, is currently a fellow with the City of Atlanta’s Office of Sustainability and his focus is composting and waste reduction—giving hope to the possibility of future city support for community composting. Corinne regularly challenged her future Community Compost Advocates to evaluate their everyday environmental impacts and to think creatively and collaboratively about how to change it. Pictured below is the waste produced by the 30 individuals involved over the six-day course—less than 3 pounds including the container. 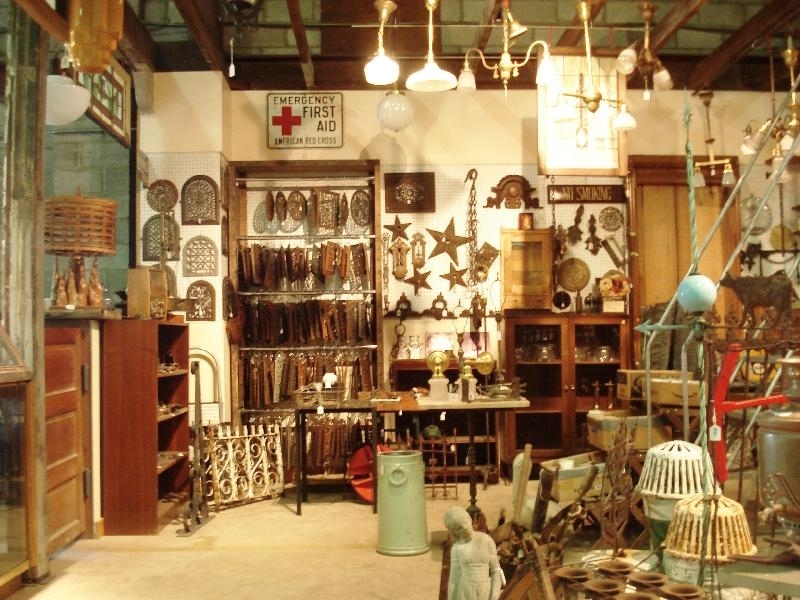 The course took place at the Lake Claire Community Land Trust, an old neighborhood in the heart of Atlanta. The site hosts community garden plots, various event venues, a playground, a public stage, and even an emu! Local Chef, Asata Reid, provided nourishing and delicious vegan meals for the CCATP’s sixteen students, nine instructors, four children, and one volunteer, for all of the classes. Her cooking was a perfect complement to the homegrown spirit of the course—and, of course, the hot Atlanta summer temperatures. The Atlanta course curriculum mirrored that of the NSR, featuring the following modules: The Art and Science of Composting, Bin Design and Build, Vermiculture, Soil Science, Compost Testing, Compost Site Field Trip, and Community Engagement. New additions were a Soil Lab, and discussions about Compost Entrepreneurship and how to use composting as a tool for Social Justice. 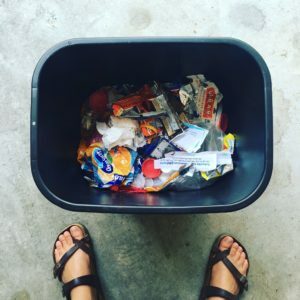 At a time when race relations seem dismal, it is inspiring to think of composting as another tool for building social and ecological resilience in communities. 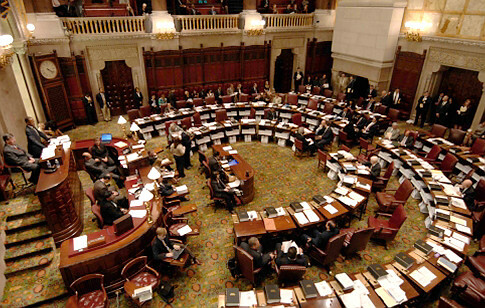 As with the NSR, the CCATP emphasizes the importance of hands-on training. Participants practiced building piles and experimented with what does and does not compost, finding that cotton t-shirts really do break down. On the final day of the CCATP course, participants were tasked with leading an educational presentation to the Land Trust’s members and gardeners. Of the eight instructors she contracted with, half were NSR instructors: Linda Bilsens of ILSR, Eriks Brolis of Urban Farm Plans, Benny Erez of ECO City Farms, and Rhonda Sherman of NCSU. ILSR’s Linda Bilsens kicked off the course, welcoming the CCATP participants to the community composter movement, and leading the group in designing cooperative agreements for their time together. NSR partner and frequent guest-instructor, Eriks Brolis of DC-based Urban Farm Plans, to teach the CCATP participants about basic tool safety, bin design and construction. As has been in the case with the NSR Master Composter course, this module offered participants an opportunity to get their hands on power tools—some for the very first time. Participants often report feeling empowered to build their own systems as a result. In the pictures below, NSR lead-instructor and ECO City Farms technical advisor, Benny Erez, can be seen leading the CCATP participants in a pile build to fill their newly built 3-bin system. There is no substitute for hands-on instruction for a craft like composting. It is critical that participants practice laying out the tarp that protects the soil, measuring out their composting ingredients, handling a pitchfork, adding the needed water, and getting a proper mix of materials. Benny has been composting for more than 30 years and has almost an intuitive sense of what his compost piles need to succeed. Providing novice composters (of all ages!) the opportunity to compost alongside a composting veteran like Benny is a crux of the NSR Program. NCSU Extension Agent and world-renowned vermiculture expert, Rhonda Sherman, is another key NSR partner and instructor that leant her expertise to the CCATP. We have found vermicomposting (or worm composting) to be one of the easiest ways for people to start composting, especially those living in urban areas. Vermicomposting is a completely different process than thermophilic (hot) composting—which is what we train people to do in the 3-bin system—but is a great complement to hot composting and produces a similar, if more valuable and potent, final product. Vermicompost is rich in humic acids, which are usually only found in very old, healthy soils. Worms are at the center of this composting method and, therefore, proper worm husbandry is paramount. Of more than 9,000 species of earthworms that have been identified, only 7 have been linked to composting. As a seasoned trainer, Rhonda teaches people how to successfully care for the wellbeing of these amazing little creatures. Read more about Rhonda’s vermiculture work, here. The Neighborhood Soil Rebuilders (NSR) Composter Training Program, a collaboration with ECO City Farms, aims to increase and improve community-based composting throughout the country by enhancing and expanding Master Composter training programs in metropolitan DC and in select cities nationwide. In November 2014, we launched the NSR Master Composter course. To date we have offered the NSR Master-level course three times, conducted the NSR Advanced Master Composter Apprenticeship Program once, and collaborated with the DC Department of Parks and Recreation (DPR) on its Urban Master Composter course. We have officially replicated the full NSR in two locations: Lincoln, Nebraska and Atlanta, Georgia. We have trained 31 NSR Master Composters, 8 NSR Advanced Master Composters and implemented 16 capstone projects in the DC area. The Community Compost Advocates Training Program in Atlanta trained and additional 16 composters; the DPR Urban Master Composter course trained 23; and Lincoln, NE’s adaptation another 16. We are in the process of creating a Master Composter Toolkit for those interested in bringing composting training to their communities. Want to learn more? Write Linda Bilsens, NSR Program Manager at lbilsens@ilsr.org.